Asia-Pacific Progress in Sustainable Energy report is developed by ESCAP in cooperation with the Asian Development Bank. It offers an evidence-based look at progress at the regional and country levels, providing an overview of long-term trends since 1990, and focuses on progress achieved in the most recent period, 2012–2014. Furthermore, in the report, the key drivers behind progress are reviewed, and major challenges in achieving energy access, efficiency, and renewable energy objectives are identified. Evidence is drawn from the Global Tracking Framework (GTF) data, as well as other international sources. GTF supports the tracking of progress, and is co-led by the World Bank/the Energy Sector Management Assistance Program and the International Energy Agency. 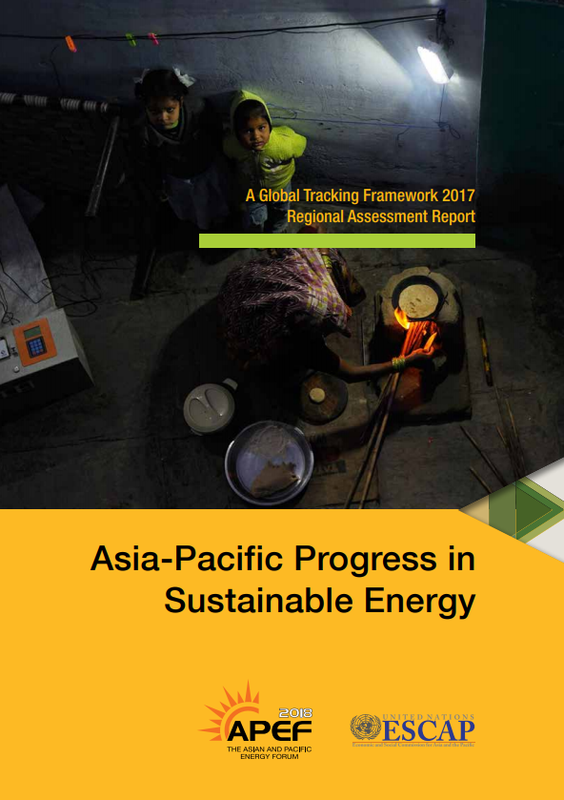 Global Tracking Framework: Progress toward Sustainable Energy 2017 was produced with the support of ESCAP and other United Nations regional commissions. The Asia-Pacific report is built upon this global report to offer expanded and more in-depth analysis and to provide a comprehensive view of progress in regional and national contexts. A strong focus is also placed on examining national policy frameworks and offering case studies to illustrate national approaches to common challenges faced by countries advancing the sustainable energy agenda.